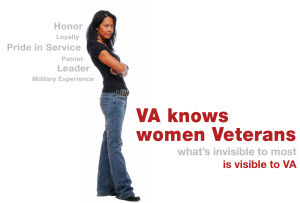 The Women Veterans Health Program (WVHP assure saccess to VA healthcare for eligible Women Veterans. Women Veteran's healthcare needs expand across the continuum of care from outpatient care (primary and specialty care) to inpatient care (medical/surgical and mental healthcare) and long term care. The WVHP goal is to address the needs of Women Veterans by providing accessible comprehensive healthcare throughout their lifespan.